As Senior Interactive Producer for matrixx who produced the Schlotzsky’s Big League Clubz campaign, I couldn’t be prouder. 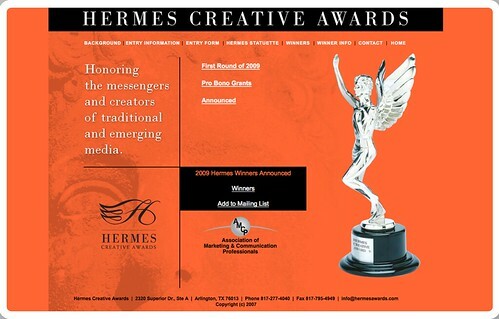 The Hermes competition is run by the Association of Marketing & Communications Professionals and is very prestigious/honors the very best of the best creative campaigns. In this 14th year of the competition, over 3,700 entries were judged in 142 categories (Publications, Photography, Design, Copywriting, Marketing Collateral, etc). Other premiere brands joining Schlotzsky’s as platinum winners this year in the “Web/Electronic Media” category are Cuisinart, Hormel Foods, Lockheed Martin, Nikon, USPS and Disneyland.